Planning permission has been granted for this strategically important development designed by Make architects. The development is set to anchor the East Croydon Masterplan, and deliver over 350,000 sq m of development as well as major transport and infrastructure improvements. 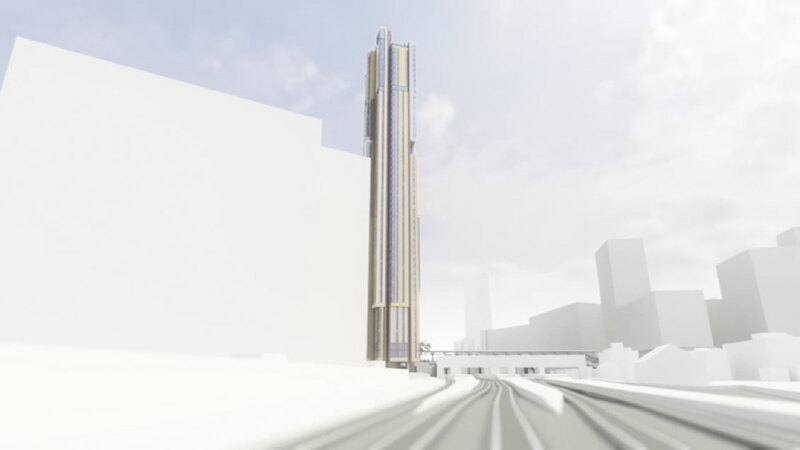 The 75,000 sq m development will include a 54 story residential tower, together with a hotel, 6000 sq m of grade A offices, retail and community uses alongside significant public realm and station infrastructure, representing a £250 million investment in this key London Borough. A new station and pedestrian bridge was completed in 2014, with a £20m infrastructure investment.